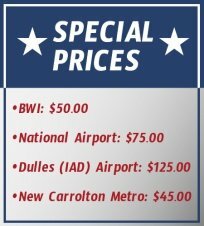 Do you need a ride to a bus station in Annapolis? Our cabs are ready to take you on time to any of the bus stations in Annapolis and all surrounding areas! After scheduling the pickup time, one of our drivers will go get you and take you to the bus station of your choice. Make sure to let us know how much luggage you will carry so we can send you the right sized vehicle.